"For the last time turn and look back, what's left except your sorrow"
The Turkish Final was held on February 23rd at the TRT TV Studios in Ankara, hosted by Ömer Önder & Meltem Ersan. The winner was chosen by an "expert" jury. Only the winner was announced, but the 2nd and 3rd placings are also known. 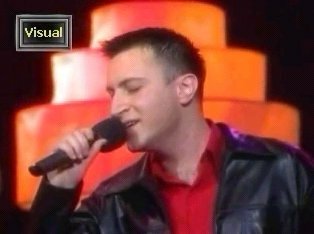 Sedat Yüce previously took part in the Turkish Finals of 1993 (as a backing singer for Sebnem Özsaran), 1996 (3rd) & 1999. At the ESC he was 11th.